My kids have Duplos because they are too young to play with Legos. Which is a shame, because I’ve always liked legos more than Duplos. They give you more brick sizes, shapes, and colors. They are more precise. More realistic. 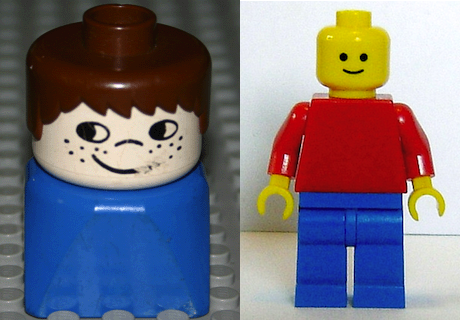 Traditional Lego people may not have fingers but at least they have arms. 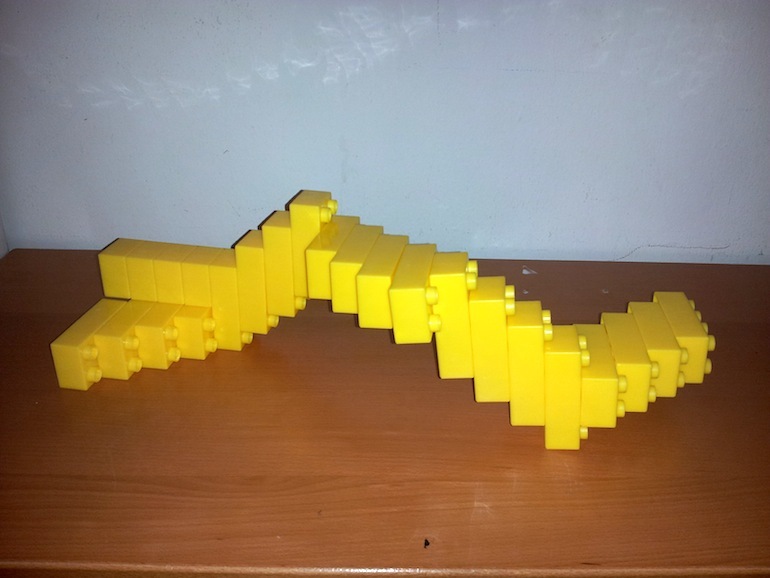 Oh, the things you can do with legos! I’ve built helicopters, rockets, and cars of all shapes and sizes. There are so many possibilities. 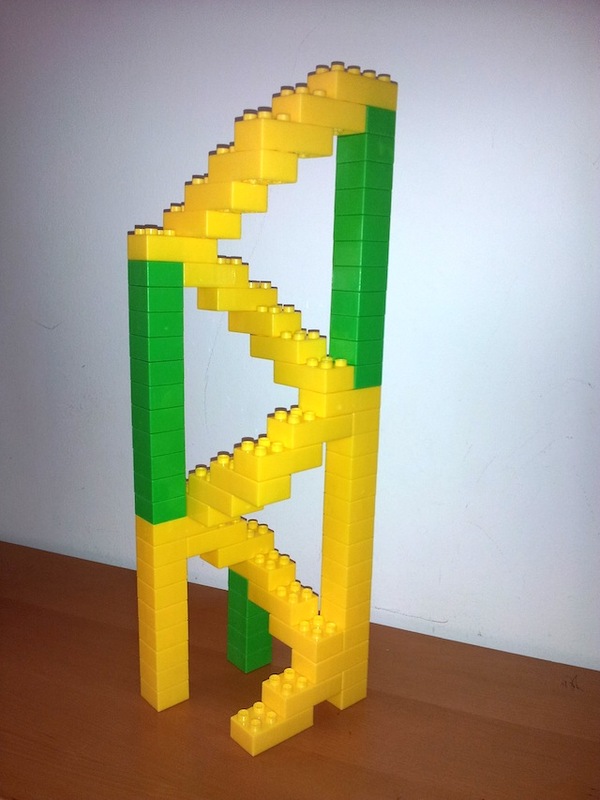 So recently when I was building yet-another tower of Duplos with my kids, I got to thinking. 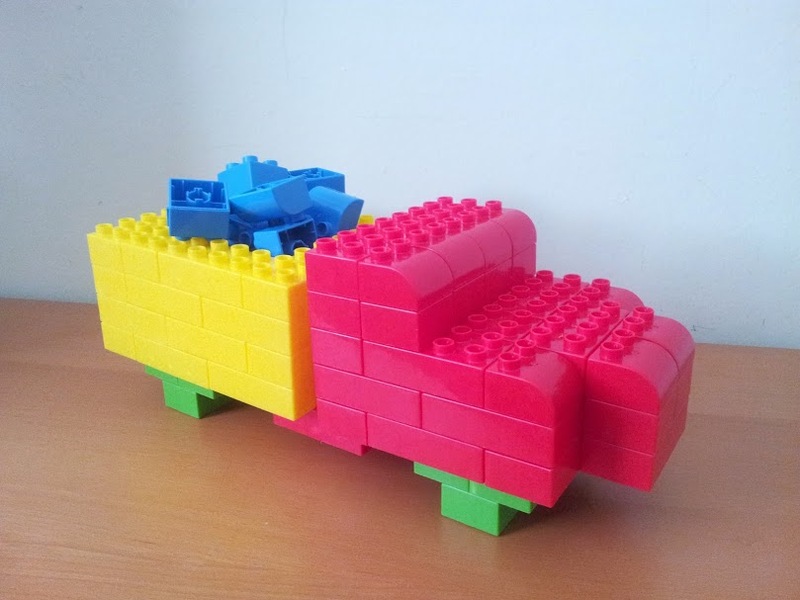 Instead of lamenting my low resolution fate, why not embrace the constraints that Duplos bring? 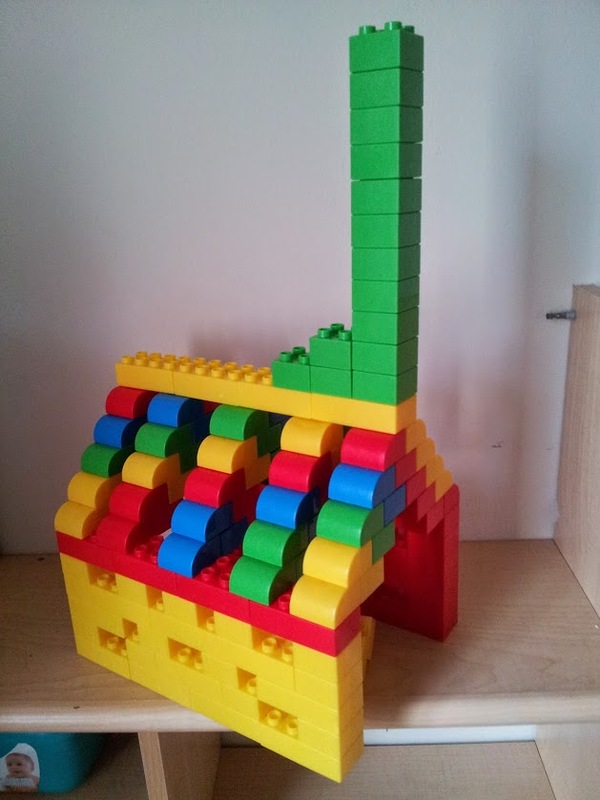 Building with Duplos is like the physical manifestation of 8 bit pixel art. What can I do with that? First I tried to make a dump truck (of which I’m not particularly proud). As I continued, I started to get a bit better. Here I made an elephant. 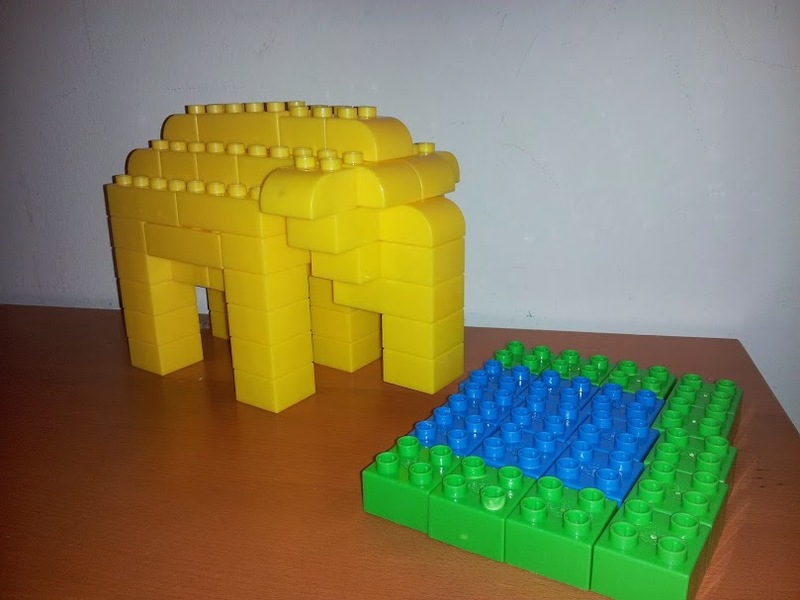 One thing I started to learn about Duplos that every single brick is important. If you have one out of place, even slightly, it can throw off the whole structure. As I would build things, I would form it once, then refactor it again and again until I got it just how I wanted it. It was challenging, and it was rewarding. For the next structure I thought, “forget towers, let’s see if I can build a spiral staircase.” The big challenge here was to make it structurally sound. These Duplos seem to have looser tolerances than the Legos I remember as a kid, which made it difficult for these members to support much weight. Maybe we have the cheap set, or something. Anyways, I tried several designs (several were photographed laying down because they weren’t strong enough to stand). I was finally able to succeed when I added duel support columns. Since structural integrity was a challenge, I started wondering what else I could build with few support structures. Maybe I could use my engineering chops to distribute loads in clever ways. That thought lead to this cathedral. Brick buildings use arches to support doorways and ceilings because arches put structures in compression where traditional beams require tension. 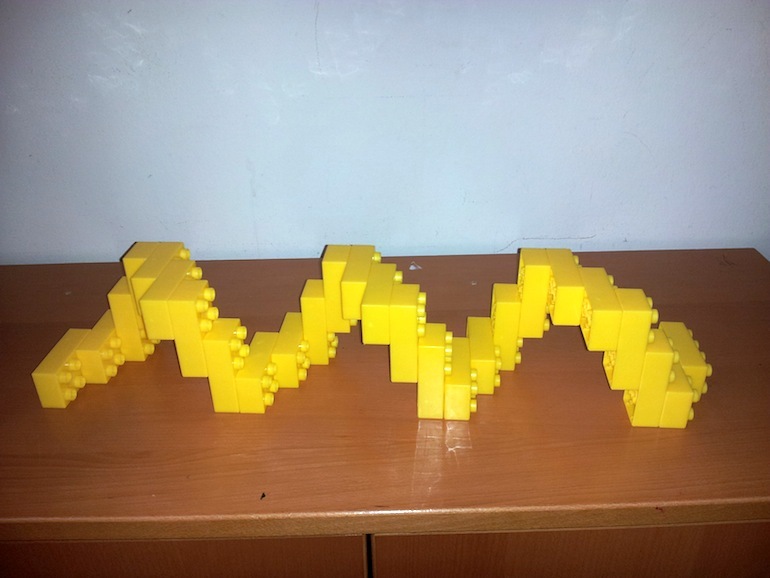 Bricks perform better in compression than tension and that’s true for Duplos as well. I could go on, but here’s the point. A whole new world opens up when you look at your situation from the perspective of design constraints. It turns a punishment into a challenge, and places you in a laboratory where the name of the game is pushing the boundaries of what can be done. We live in a world imposing all sorts of constraints on us. Let’s charge into them and see what we can do.